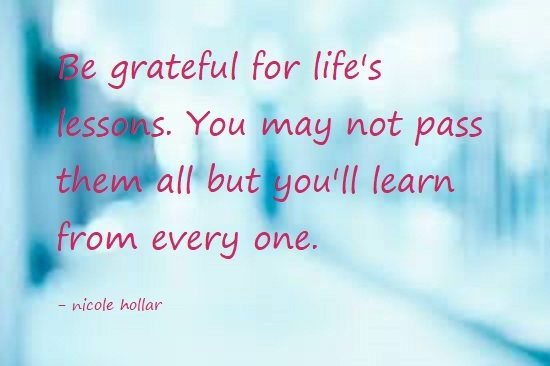 Be grateful for life's lessons. Here I am, Wednesday night, up in five hours for a client. Another day has passed filled with lessons, messengers, and the reminders of why I chose this path. It’s been difficult being a small business owner with a big mind. I’m so grateful that I have a lot of skill sets even if none of them are at a high level. I’ve been gifted with the “I’ll figure it out gene,” an important one when you don’t have the funds to hire people to do everything. It’s made me curious, driven, and ambitious. But it’s also exhausted me at times. And this past weekend was one of those times. I had a moment where I thought that’s it, I’m selling everything, leaving my studio and moving to India! Then the messengers came, and the reminders started showing up. And I listened. I quieted myself. I reminded myself that ever since I was a young child I wanted to positively influence as many people as I could in my life. And abandoning everything would serve no one. So tonight I’ll settle in, grateful for the lessons. I may not pass them all but I’ve learned from every one. It’s time to recenter, refocus, reorganize.